One of the leading causes of death in the world, diabetes has a great impact on almost all organs of the body, including the eyes. In fact, among Americans of working age, diabetes is the leading cause of new cases of blindness. Diabetic eye disease or diabetic retinopathy is a debilitating condition of the retinal cells ultimately leading to blindness. Fortunately, extensive research in this area, in addition to the efforts directed by the National Eye Institute, has made it possible to treat this complicated problem over past several decades. In fact, today most people with diabetic retinopathy don’t usually suffer severe visual impairment from it. 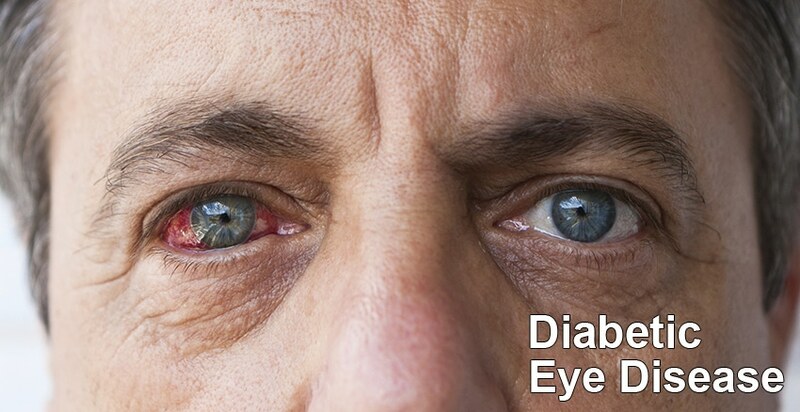 The following treatment is available for diabetic eye disease, depending upon its type. Diabetic macular edema (DME) is a consequence of diabetic retinopathy leading to swelling in the area of the macula. The breakthrough weapon against macular edema is the argon laser, and the treatment is called photocoagulation. In this treatment, the doctor uses a laser and guided by the results of the fluorescein angiogram, “welds” the seeping blood vessels in the macula. If the leaks are small, the laser is applied directly; if leakage is widespread, the laser is used in a grid pattern over a broader area. An average treatment session will require between fifty and one hundred pinpoint-sized laser “spots.” For the last five years, the use of corticosteroids and anti-vascular endothelial growth factors (also called as anti-VEGF) agents have become instrumental in treating macular edema. It is important to note that the use of laser treatment doesn’t absolutely guarantee that someone with macular edema won’t suffer significant visual impairment, but it does lower the odds considerably. The procedure is tricky. Since the area of the macula is small, the procedure has to be carried with great care to avoid a devastating or permanent effect on patient’s eyesight. In order to prevent any movement, special anaesthesia may also be given to minimize eye movement. The treatment session may take anywhere from 15 to 45 minutes. On its completion, one can immediately return to normal activities as there aren’t any postoperative restrictions. The laser treatment is performed as a same-day procedure, usually at the doctor’s office or in an eye clinic. Although there’s usually no pain, some patients do feel a little discomfort. It is also possible to experience a mild headache and some temporary blurring of vision which should normally subside over a period of twenty-four hours. If symptoms persist longer than a day, it is recommended to call your eye surgeon. Proliferative diabetic retinopathy is a condition in which the blood vessels growing from the surface of the retina diminish in number. The laser treatment for proliferative diabetic retinopathy is more extensive than the “spot-welding” used for macular edema although many features of the procedure, including anesthesia, are the same. The technique here is called panretinal photocoagulation and instead of fifty to one hundred laser burns, this procedure may involve eight hundred to two thousand pinpoint-sized burns and may take two or three sessions to finish. The procedure mainly scars most of the retinal tissue which helps in slow rampant growth of new blood vessels. The scarring also improves the blood flow in mature vessels and lowers the retina’s need for oxygen (and thereby reduces its need for new blood vessels). Vitreous haemorrhage is a condition wherein blood leaks into the vitreous gel inside the eye. As discussed above, the fragile blood vessels of proliferative diabetic retinopathy bleed at the slightest provocation. When they spill blood in the retina and into the vitreous cavity, they produce a vitreous haemorrhage, which can cause scarring on the surface of the retina and in the vitreous jelly. Unlike the deliberate scarring by the laser to combat proliferative retinopathy, this scarring is dangerous for vision. Over time, it gradually contracts and takes the retina along with it, causing it to separate from the back of the eye. This is referred as a tractional retinal detachment- a serious process that can severely impair vision and even lead to blindness. Vitreous haemorrhage usually goes by itself but may also require a vitrectomy surgery in certain cases. In this process, the retinal surgeon removes the vitreous haemorrhage from the back of the eye, stripping away scar tissue and relieving the pulling on the retina. Laser photocoagulation or cryotherapy of the retina may also be used during vitrectomy surgery to treat any underlying proliferative retinopathy. It is important to note that laser treatments for diabetic retinopathy, macular edema, or proliferative disease are done to keep vision from getting worse, not to make it better. Hence, such treatments do not lead to improvement in vision. Suffice to say that laser treatments for diabetic eye diseases are safe and efficient and only minor effects such as mild swelling, blurred vision, light sensitivity etc. may arise. However, laser treatments for macular edema, if placed close to the center of the macula or in a pattern to cause a dense scar may sometimes result in ‘blind spots’. It is also possible that laser treatments for diabetic retinopathy may result in slight loss of visual acuity. Like any procedure, laser treatment isn’t without its risks, such as bleeding, increased macular edema or improperly placed laser burns resulting in severe vision loss or increased retinal scarring. Thus, it is essential to consult your doctor before undertaking any of these. Due to the delicacy of the procedure, it is also recommended to get the surgery done by experienced surgeons. Dr. Babak Shabatian, MD, is an ophthalmologist and founder and director of Cali Eye and Laser Institute. He has performed thousands of procedures with excellent and predictable results. He is frequently invited to lecture on topics of refractive and advance cataract surgery.